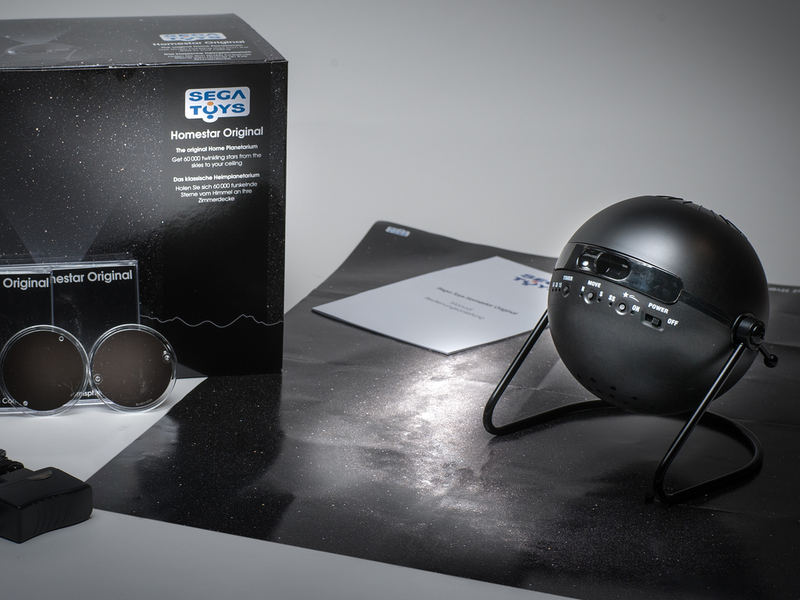 The planetarium by Sega toys projects a vivid and beautiful night sky onto any roof inside your home. It can also be projected onto a wall. All you need to do is insert a disc and the image of 60000 stars will become visible. There is no need to go outside on a cold or wet night to get that amazing night sky atmosphere. 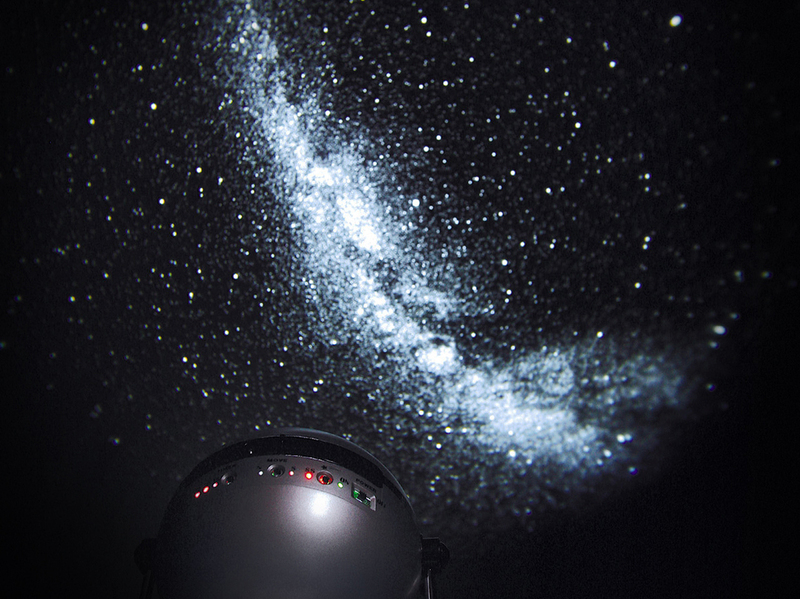 The images projected by the Sega Toys Planetarium are very lifelike. Stars will rotate very slowly around the same way that they do in real life. 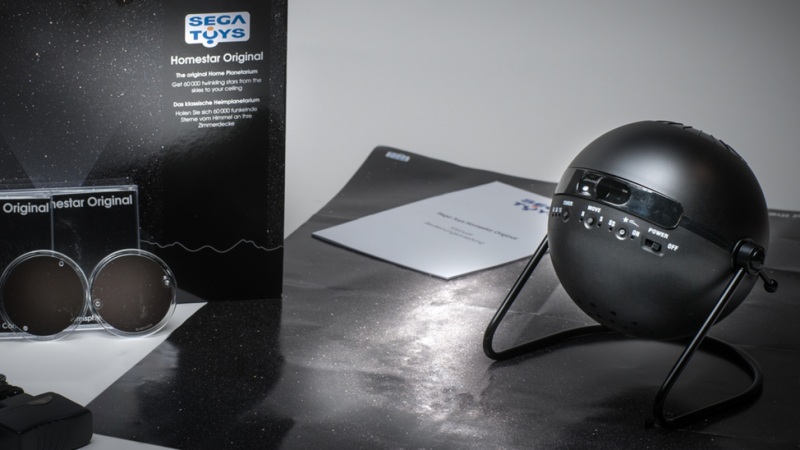 There are other planetarium style toys around but the quality of the display given by the Homestar Original Planetarium By Sega Toys puts it a cut above the rest. You can choose to the view the display with or without a map of the constellations. If you want to be able to identify the constellations outside in the night sky this is a handy learning tool. The planetarium measures 15cms in diameter and it stands 18cms tall. It can project onto a roof or wall at a distance of 150-230cms. The size of the image that you see when you use the projector will be about 270cms. If you wish to see the night sky from a different perspective you can buy discs that will allow you to do so. There is a disc that shows the southern hemisphere and one that shows the northern hemisphere. Pictures from NASA are used so that you can see the Andromeda Galaxy or views of the earth and moon.